As part of Poland’s Centennial Celebration in 2018, the USC Polish Music Center presents a spring concert of music by composers of the Młoda Polska [Young Poland] generation, whose works are typified by the modernist and neo-romantic aesthetic of pre-war occupied Poland. Composers on this program will include such luminaries as Noskowski, Paderewski, Stojowski, Szymanowski, Zarębski and Żeleński. 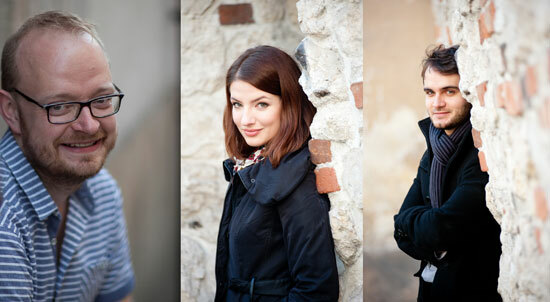 The performers—violinist Maria Sławek and pianists Grzegorz Mania and Piotr Różański—are members of the Polish Society of Chamber Musicians, an active group of excellent young musicians who perform and educate around the world.